A businessman sitting at the office table. He is thinking, writing, searching new ideas. 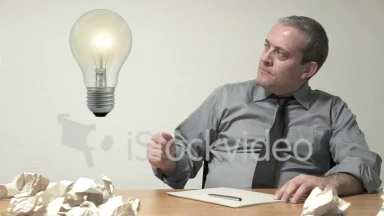 Finally he is finding new idea and glowing light bulb appear.